All original classic from the Deco era. Category: Sold Watches Archive. 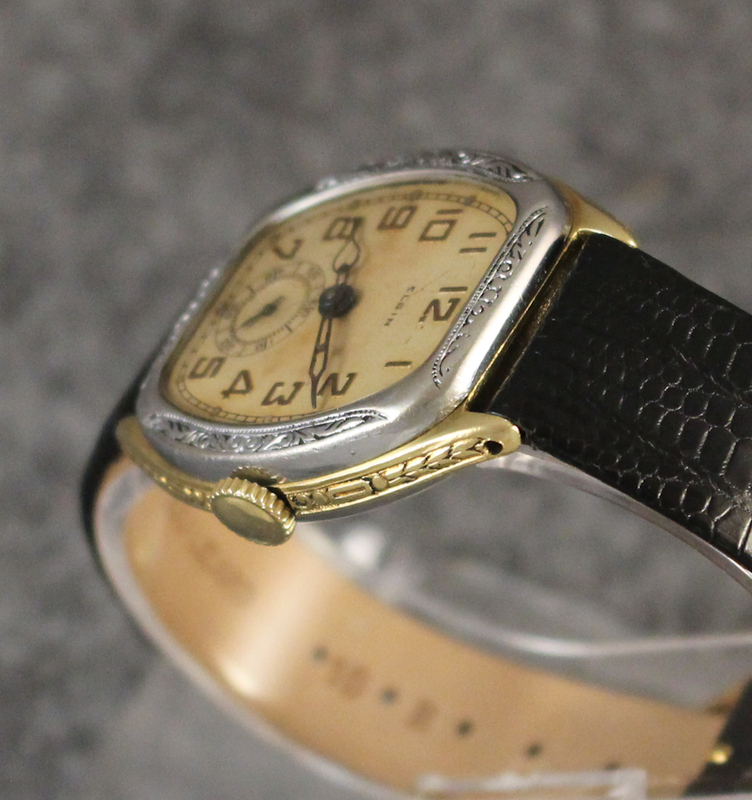 Tags: 7 jewel, 1930s, art deco, recently serviced, tonneau. 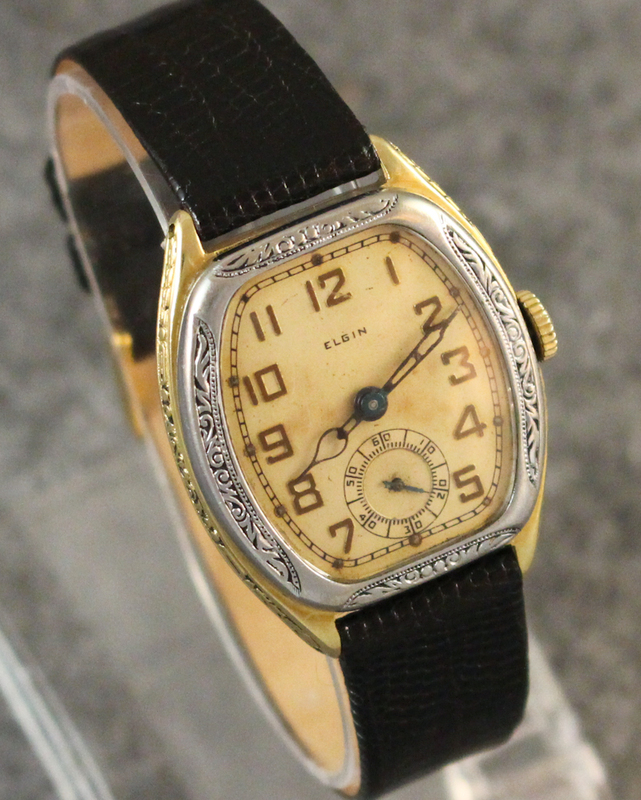 A beautiful, all original Elgin 2-tone from 1931. 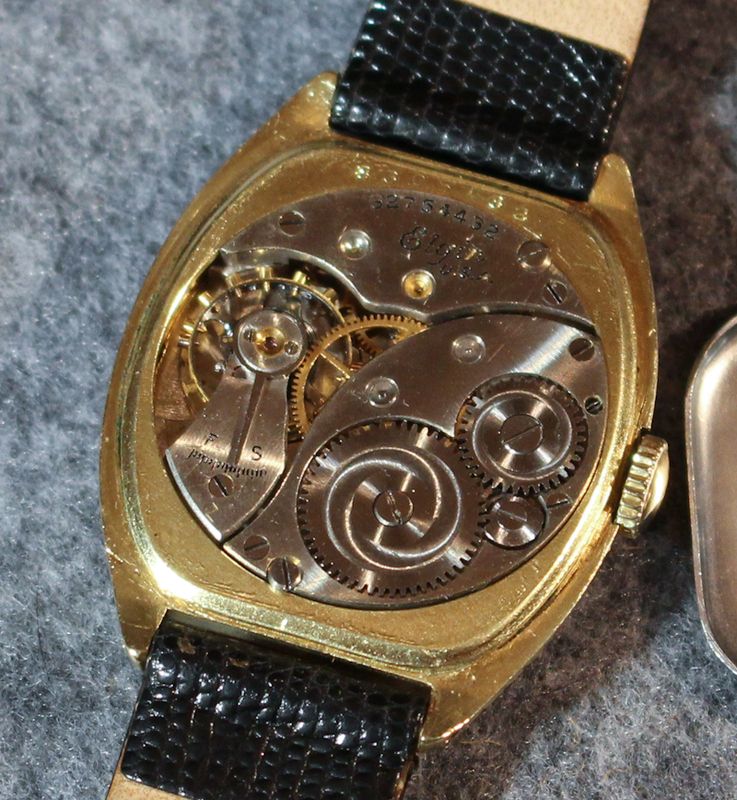 These watches are prized for their two-tone, engraved cases and are very collectable. This model was issued in 1931. 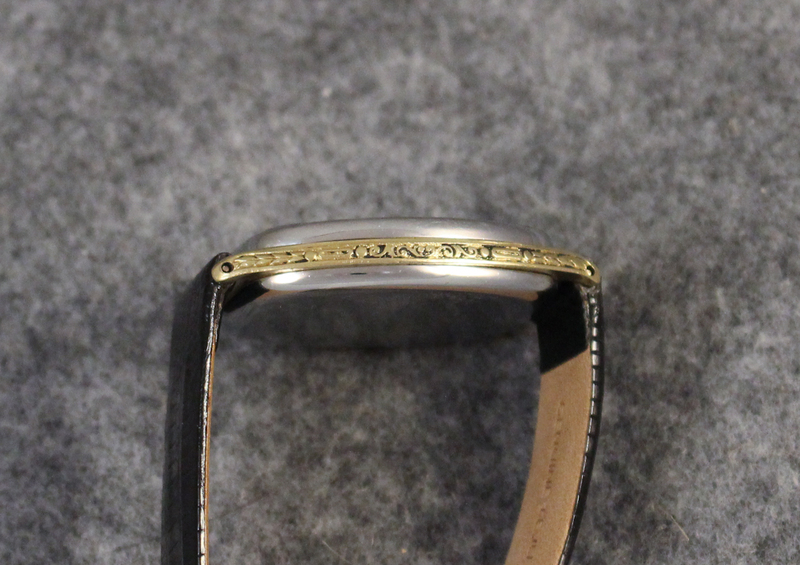 The bezel and sides are engraved. 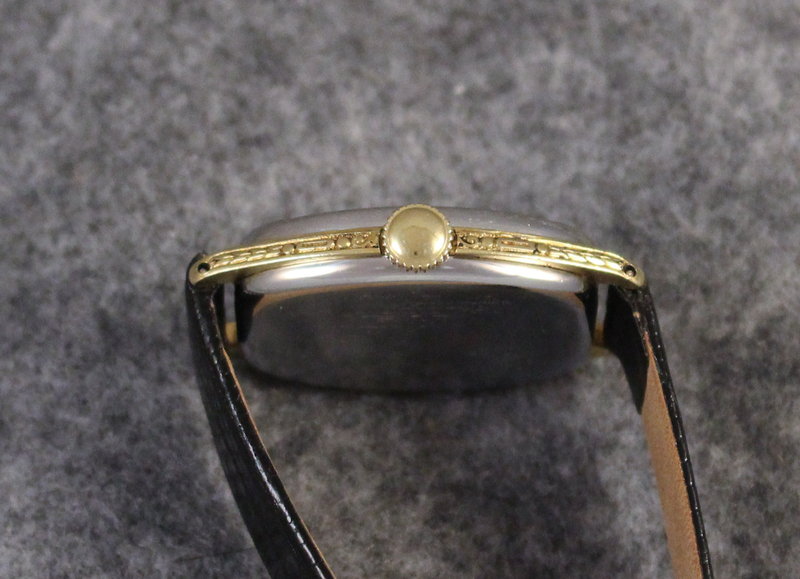 The middle portion of the case is 14K yellow gold filled. The bezel and back are nickel. 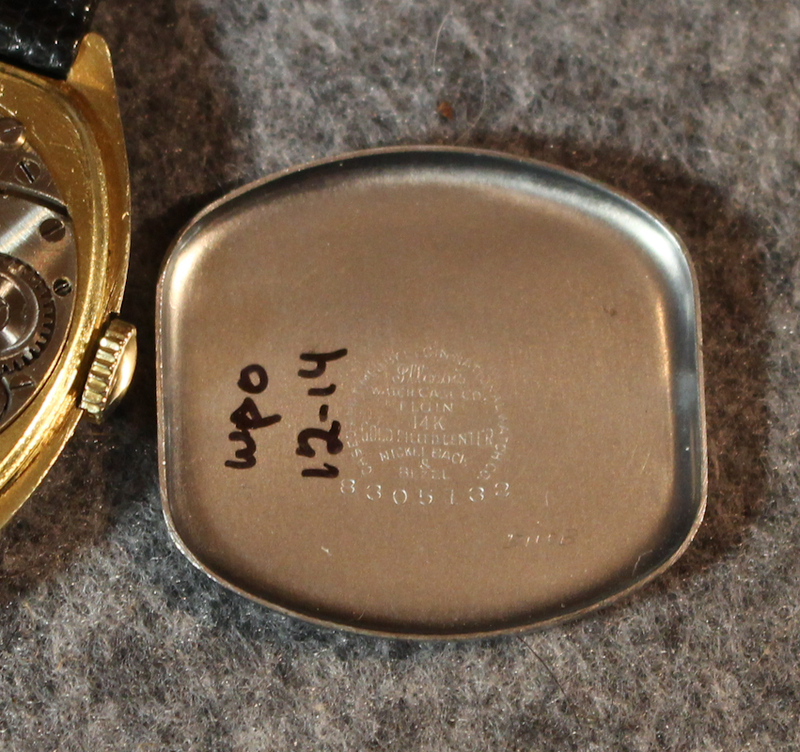 The case of this particular watch is in Very Good condition with no wear through. The back shows only minor scoring and wear. 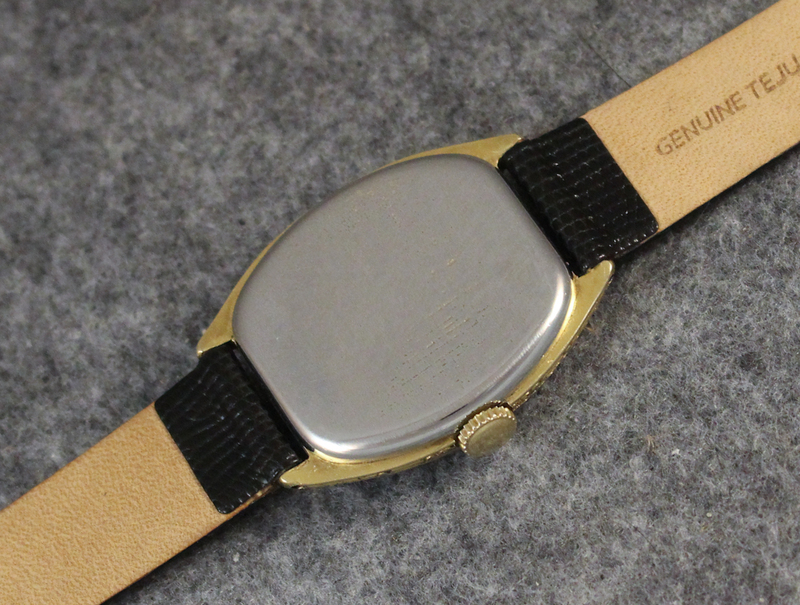 The lug holes are in good shape and the watch has weathered the years in very good form. 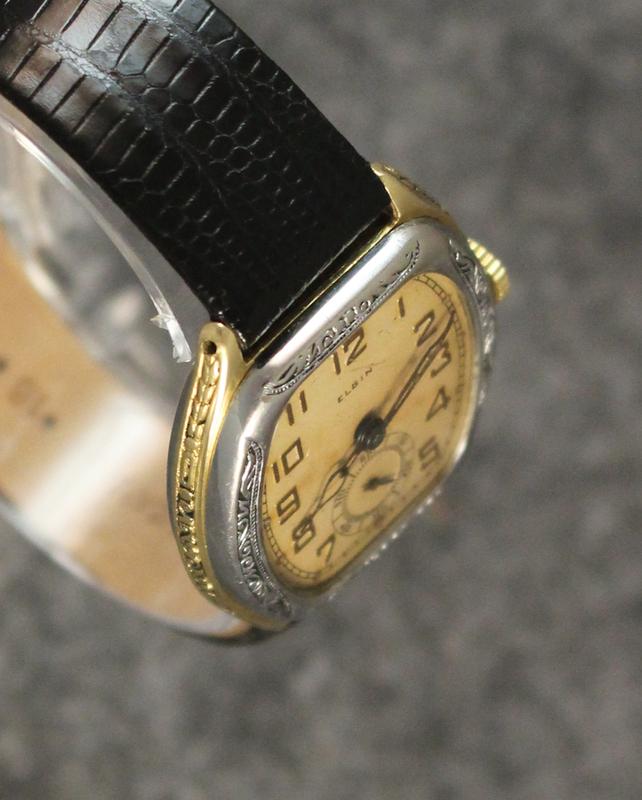 We’ve left the hands and dial in their original condition, as we wanted to offer this piece for collectors in its all-original cosmetic condition — it even still has some of the original black enameling in place inside the engraving! The movement is the 4/0 sized 7 jewel 485 movement. The movement was serviced in December 2014 and runs and sets just fine. We’ve added to the watch a brand new black Teju lizard band. The watch is ready to wear. Note that this watch was large for the period and remains large enough to be fashionable for a man.